Launch Party is not just about the startups but about bringing our community together to have fun. Thank you so much for joining us and for showing the world that Vancouver is one of the best places to start a company. We hope you had as much fun as we did. Canpages – fastest growing local search company in Canada with a nationwide API for smart phone application developers. Clark Wilson – Mark Longo & Brock Smith are two of the best startup lawyers in town. Outcome 3 – Need help with SEO? Want to improve traffic and conversion rates, contact Outcome 3. This team has helped Bootup with our site and many other startups in town. HSBC – This bank is interested in working with startups and has inexpensive packages that could work for you. Fasken Martineau – Their office may boast one of the nicest views in town, but Keith Spencer and Shahrooz Navabi have definitely given back to the startup community many times. Good guys & lawyers. KPMG – Most startups may not need the services of a big accounting firm in the early days but KPMG wants to work with and support startups at an early stage. Don’t hesitate to reach out to learn how they can help you. FMC – Lawyer, Gal Smolar has worked in the Internet startup Industry for a long time and loves it. He moved to YVR via Israel. Reach out. Techvibes – If you want to get the word out about your startup or an event, then look no further than local tech blog, Techvibes. Rob Lewis had to miss LPV10 (a 1st!!) to cover the Canadian New Media Awards in Toronto but as always, did a great job spreading the word ahead of time. The Next Web – Tris Hussey, who is now writing for the Next Web Canada did a great job interviewing of all of the LPV10 Startup Showoffs. Thanks Tris! If you haven’t seen their videos yet, check them out! Startup Digest – Jon Chui, the curator of YVR Startup Digest is doing an amazing job keeping us all informed of weekly tech events. If you are feeling out of the loop, sign up to receive your Monday morning update in your inbox every week. Jodi Day – talented UI Designer and member of Team Strutta, who makes us laugh and kept things rolling at the LPV10 door! Chrissy Chrzan – Communications Junkie, who happens to be new to Vancouver, made sure everyone got thru the line on time. Maral Artang and marketing pro, Nicole Steele helped check everyone in-and-out at LPV10. Laurent Munier – Big shout out to Laurent for helping us with event logistics and planning. John Biehler – Thanks for all the great snaps of LPV10, JB. Lyal Avery – For making sure Santa showed up on time and for always being there. Last Thursday afternoon, Danny Robinson of Bootup Labs drove a big blue Suburban filled with 6 other entrepreneurs from Vancouver to Kelowna for the 2nd annual Metabridge event. 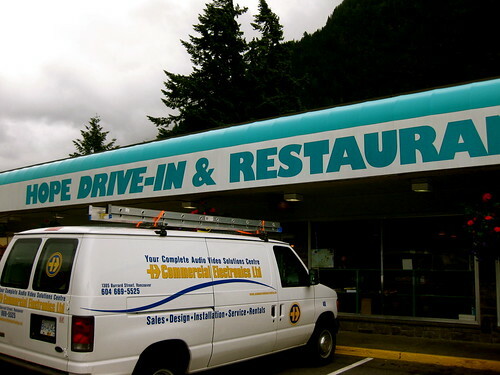 After a late start and a pitstop in Hope, BC to refuel at the iconic Hope Drive in & Restaurant, we were on our way! Derek Shanahan of Foodtree, Lyal Avery of Outcome 3, Mack Flavelle of Compass Engine, Cristian Strat of Summify and Dean Prelazzi of BCIC were all brave enough to make the trip with Danny at the helm. Both Derek and Cristian are from out of town so I was really happy they could join us and take in the beautiful scenery on the Coquahalla. No companies were formed but many ideas were shared and my belly hurt from laughing so hard on the road to K-town. 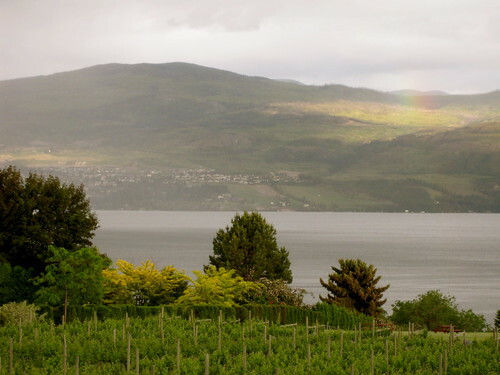 We arrived in Kelowna just in time to catch the bus to the Quails Gate Winery for the Welcome reception. It was great to see so many old friends from Metabridge 1 including Ethan Anderson, Founder of Red Beacon, Peter Haubrich, Founder of ORIC, Jason Richards of Vineyard Networks and Gary Symons, Founder of Vericoder. Unlike the first Metabridge, the room was full with many attendees from Vancouver and I was not the only female entrepreneur in the room. A pitch breakfast for attending startups kicked off Day 2 before a day of Golf or a Sparkling Hill Spa tour. There were only 8 companies in attendance last year and over 30 startups at Metabridge 2. Since I spent the day catching up on work, I did not get to experience either afternoon adventure personally but I heard that a full round of golf at the Okanagan Golf course was hands down the better choice! Metabridge ended with a networking dinner at Earl’s Restaurant on the water. Various visiting VIPS were assigned seating throughout the venue and acted as hosts for each table. I was paired up with Lars Lekkie from Hummer Winblad and Amy Leger of HuStream and Brent Bolleman from Axel Partners joined us. I can’t sit still for very long so, as soon as dinner was over I was table hopping and mingling. Without naming names, I made many great connections, who I intend to keep in touch with in the future. Many people were thanking Steve Wandler, the Founder and organizer of Metabridge throughout the evening and he deserved all the props he was getting. It takes a lot of hard work to pull an event like this off successfully. Luckily, he had the help of Chantelle Kshyk, Event Manager from Ostec, who is absolutely fantastic to ensure everything ran smoothly and left attendees raving. When I caught up with Steve at the end of Day 2 to thank him as well, he turned to me and said “I don’t want to just hear how great the event was. I want to hear how I can make it better and better.” To which, I replied – “well, I have a couple of ideas…”, which includes a boat, Dale Fuller 😉 and a few other suggestions I will share with Steve the next time he is in town. All and all it was a great event! 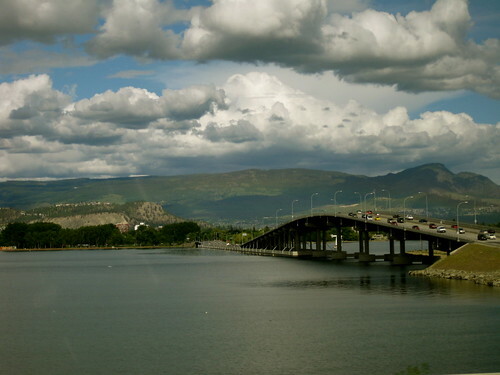 Kelowna has a growing and very supportive tech community. Thank you Steve, Robert Fine, Chantelle and the entire Kelowna Tech Community for being such great hosts. You are welcome at casa Bootup anytime.